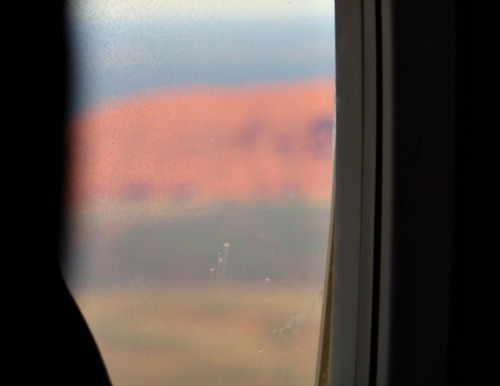 Peering down onto the scrubby outback and gouged channel country from 35,000 feet we flew over flooded Lake Eyre and sparkling salt pans until as the mid-day sun was reaching its zenith the soil colour changed from a bleached grey to a deep rusty red, and… a tantalising first fleeting glimpse of Uluru came into view as we circled to land. There aren’t many iconic places you go to in your life, which prior to your visit you will have been bombarded with a gazillion images forming impressions and expectations. 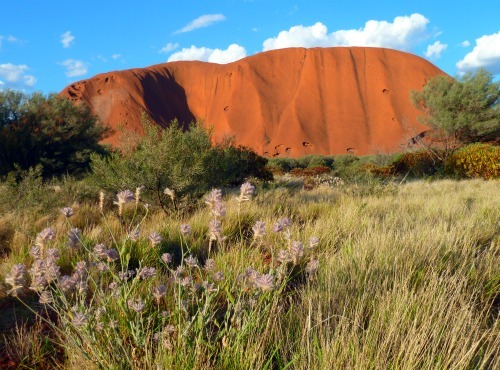 Could Uluru live up to my high hopes? It was mid-day as the air-plane doors opened and the black beating tarmac of Yulara airstrip punched me in the face. Stepping out onto the glistening silver staircase into the brilliant sunshine, the dry central Australia heat engulfed me. My impatience wanted to get straight out there, but with a body recoiling from the oven I’d just stepped into, I retreated to some air conditioned comfort for a few hours allowing the sun to loose its edge as it lowered itself towards the horizon. 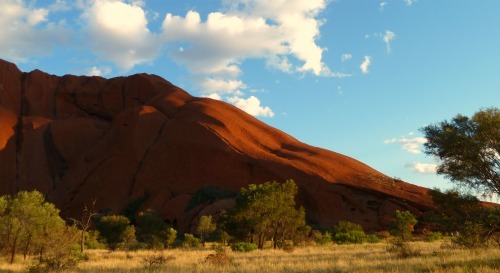 About 4pm, we ventured out making our way to the Uluru – Kata Tjuta National Park entrance – There’s a $25 fee that is valid for 3 days. I couldn’t wait to get up closer so zoomed in to see what I could see on my 3″ camera display! At this time of day it had a lilac’y tinge! However, no image (or pre-conception) can prepare you for the experience as you approach this monolith and first feel ‘the’ Rock’s presence! …and array of colours as the atmospheric conditions and light perpetually changes. 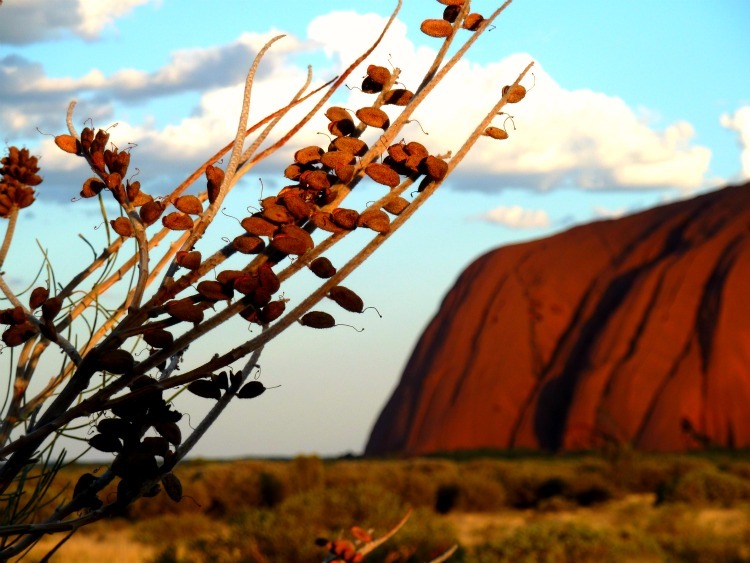 Have you been to Uluru? Tell me, how did you feel? 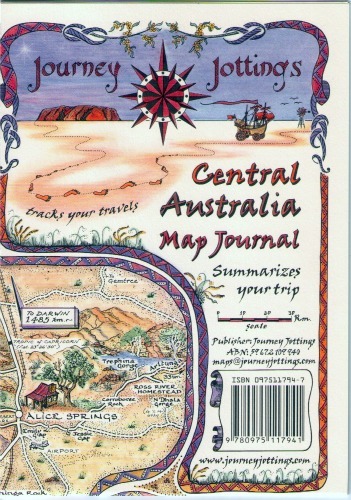 This entry was posted in Australia - The Red Centre, Tales of a Traveller and tagged australia, Australia_travel, ayers_rock, central_australia, northern_territory, red_centre, uluru by Linda. Bookmark the permalink. I was with you and enjoyed every minute of the rock too. I just got home after leaving Australia and sleeping for 10 hours to catch up after about 36 hours of travel door to door. I like you have hundreds of photos to download and hopefully share the best. Love your post and agree whole heartily the mammoth presence of the rock is hard to describe and should be a destination goal if given the chance. I need time to reflect on all we experienced. Thanks for the trip planning gift you made possible. Many memories forever. 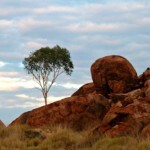 Lots more posts and photos to share of the wonders we experienced in the Red Centre! Love your photos, they make we want to go NOW! I’d been busting to go for years, but finally having some International visitors come to stay pushed me into doing it NOW, on the spur of the moment! I already knew what ‘the Rock’ looked like, having seen so many pictures beforehand. But as we rounded the bend and had our first view of the real thing, I was (uncharacteristically) speechless with awe and wonder. There’s NOTHING like it anywhere else – and it’s gob-smackingly spectacular!! So great to re-live this through you – weirdly, I have many pix that are similar!!!! Sounds and looks like you enjoyed The Rock. 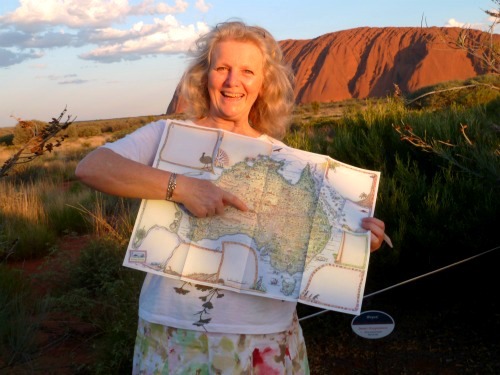 I’ve been lucky enough to visit Uluru (although it was Ayers Rock then) three times and all a long time ago. Before the resort, before the regulations. 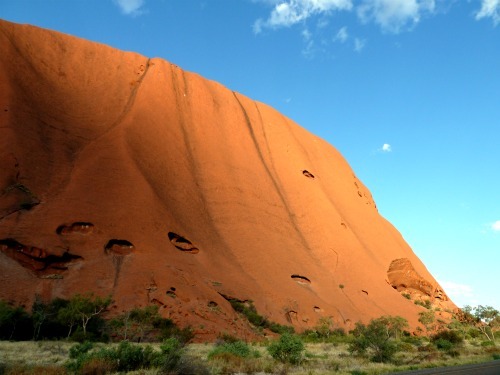 I visited in the days when climbing Uluru was allowed so I’ve made that climb three times. 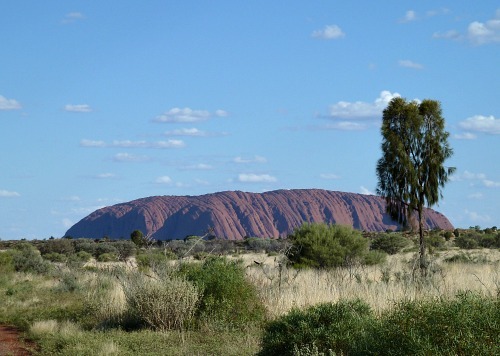 We camped in tents right beside Uluru – and weren’t eaten by dingos! I’ve not been for many years and wonder how I’d find it now. Thanks for sharing such a visually gorgeous post and bringing back some memories. Its an interesting point you make about places inevitably changing over time – Some places of course literally get loved to death. As an earlier visitor, it certainly would be different going back now, where you have to be out of the Park within an hour of sunset, and not allowed back in until an hour before sunrise. 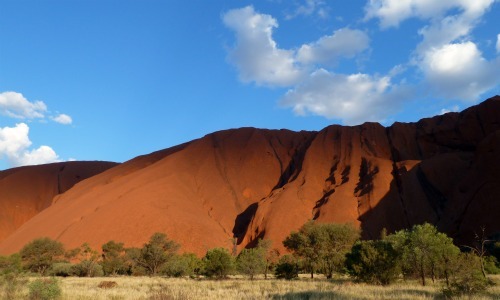 But I think no matter what, Uluru will always rise majestically above any of our interferences – Its in a realm of its own. The climb is still allowed, but do you really need to do it? From what I gathered while we were there, there is a ten year management plan in place, at the end of which the climb will be officially no longer permitted. It’s just such an awe inspiring destination, and it’s indescribable, the feeling you get as you approach “the rock”. Like you, I thought I’d seen it, because I had, in books and on TV, and then to experience it, well that was all the difference, and a life changing experience for sure. The textures, the spirit of the land, the sheer grandeur it’s just breathtaking. I truly can’t wait to return with our children again now they are a little older, as they were too small for us to do the base walks etc, but all the same I’m glad we went. So much marketing these days is over-hype to sell, and leads to disappointment when finally experienced! 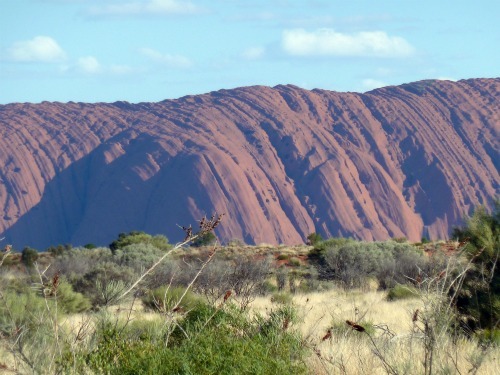 I loved Uluru. Obviously there is that iconic view of the long side of it, but what really got me was how many different shapes and colours it has as you explore all around the other parts of it that you never see on the “postcard” shot. Certainly somewhere that is worth visiting in real life! So happy you made it to the heart of Australia!